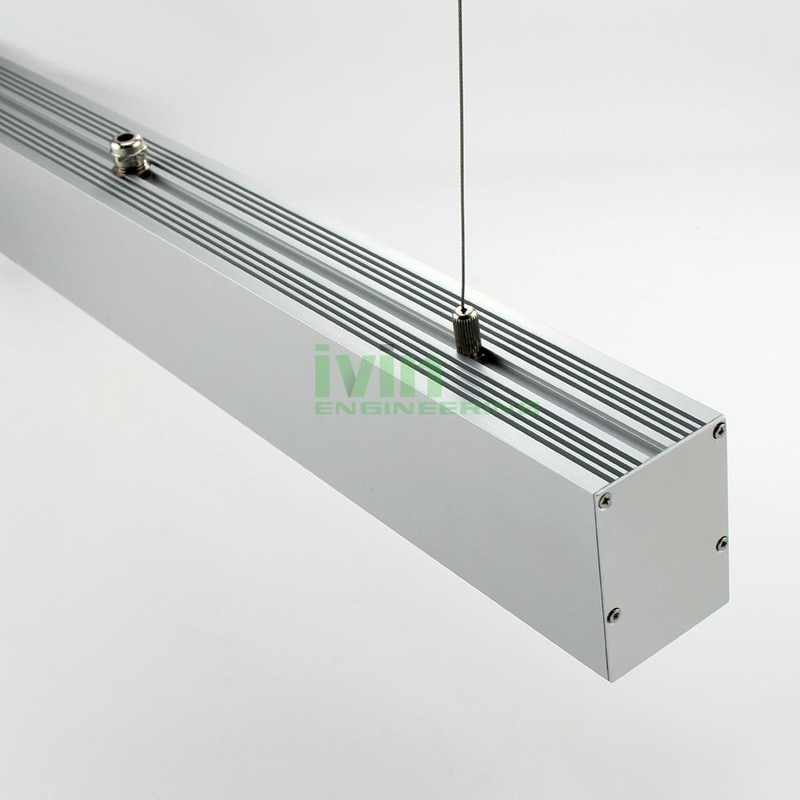 Linear Suspension Architectural LED light housing, LED Linear Suspended Light Fixture. 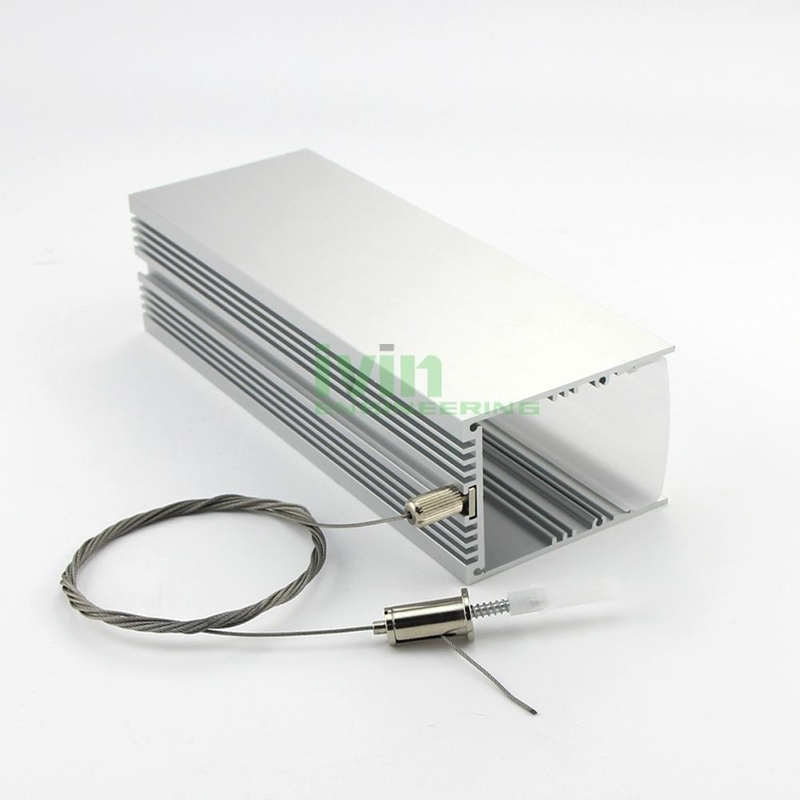 Office drop-light lighting , commercial buliding Corridor drop-light heat sink casing. 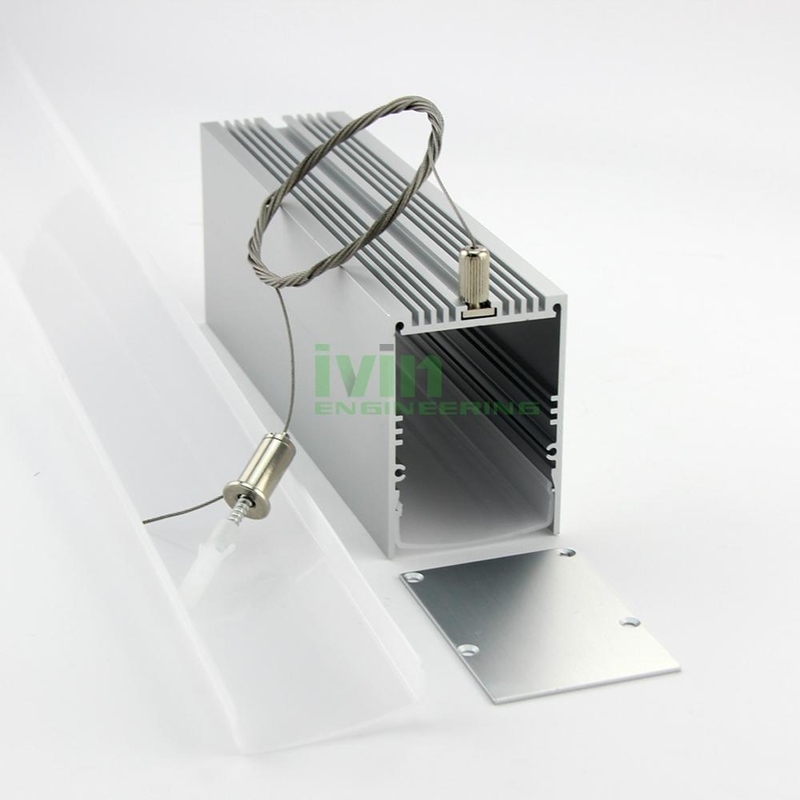 Aluminum profile : use 30*1W high power LEDs. 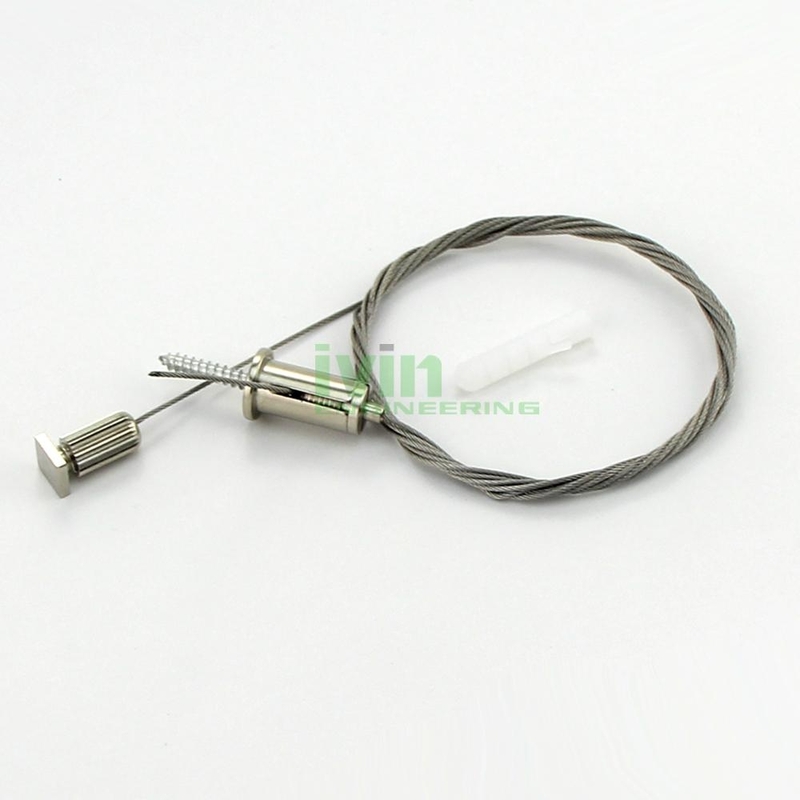 or 100*0.5W SMD LEDs. Silver anodize finish. PC cover : Diffused / Frosted PC cover. about 85% light transmittance. 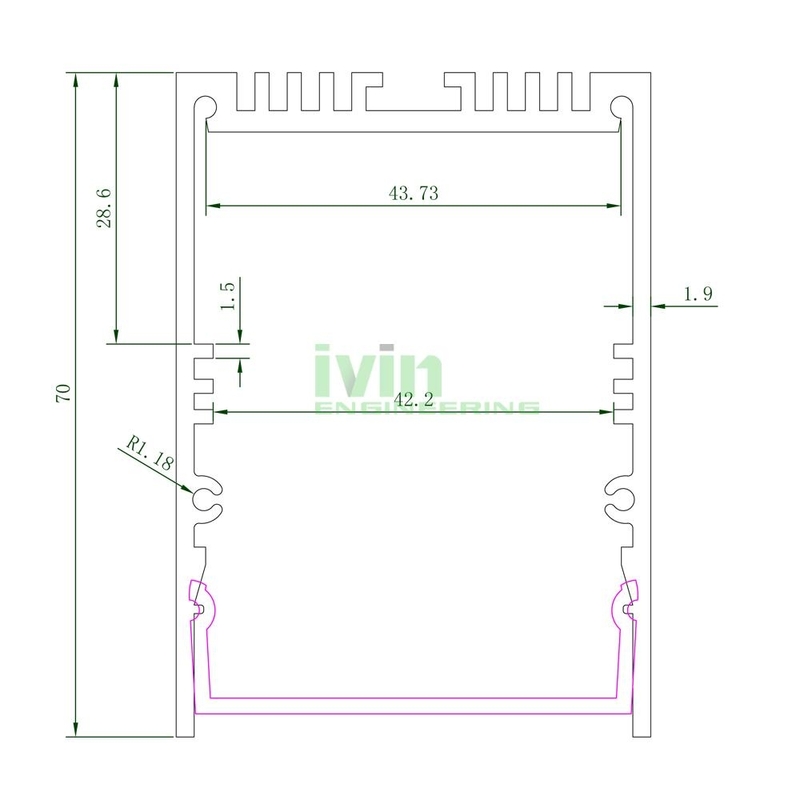 End cap : Aliuinium 1050. Silver anodize finish. Pendant System : 1.5 M lenght steel rope, Other main parts are copper material with nickle plating. Can stand 20KG + weight.